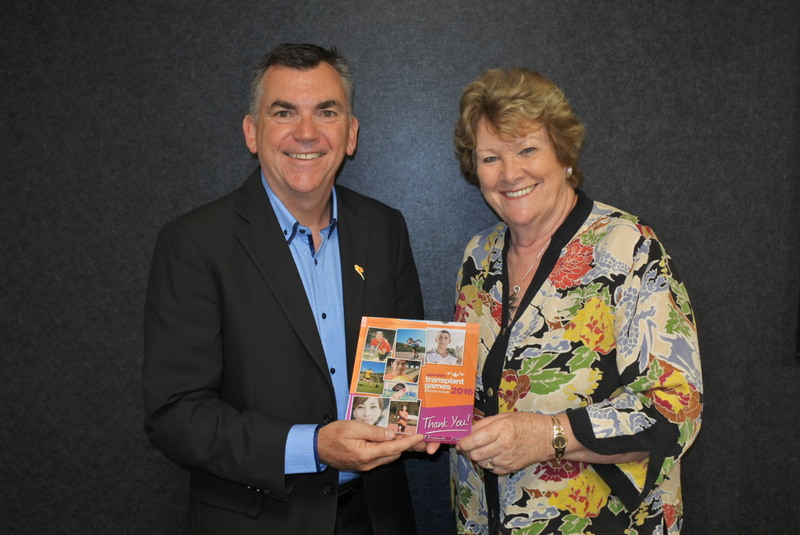 Transplant Australia CEO Chris Thomas has caught up with NSW Minister for Health, The Hon Jillian Skinner, to present the media report from the 15th Australian Transplant Games in Western Sydney. Chris also presented Jillian with a commemorative plaque, thanking the Minister for her support of the Games and of organ and tissue donation in NSW. The two discussed the current rate of donation in NSW, and Transplant Australia’s goal to improve the Australian Organ Donor Register. Transplant Australia was very proud to work with NSW Health on the 2016 Australian Transplant Games. We will continue to work closely with government to promote the life-saving benefits of organ and tissue donation to the Australian public, as well as advocate for improvements to the registration process.